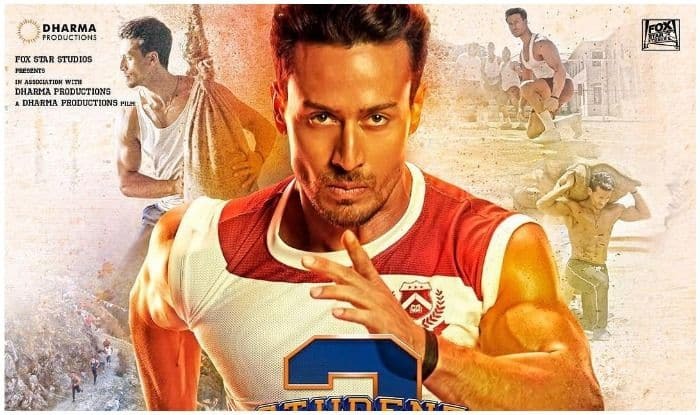 As the countdown to the trailer of Puneet Malhotra directorial, nears the end, producer Karan Johar and lead stars of Student of The Year 2 dropped another poster of Tiger Shroff and fans can’t keep calm. Featuring six different scenes in the backdrop of the main picture of Tiger, the poster looks robust. Seen donning a red and white jersey, with the movie’s title printed in the centre, Tiger holds the lens with his intense gaze as Karan described in the caption, “He’s got the ‘eye of the tiger’ & he’s not stopping at anything but the finish line” (sic). The smaller images in the backdrop show Tiger lifting a sack, bare-chested in one picture while playing tug-of-war in another picture at the right-hand bottom. The pictures on the left-handside show him racing across the finishing line in the stadium and racing alongside a mountain track with others in the heat of the competition. Tiger himself captioned the post simply as, “In it to win it!! Let’s do this! #SOTY2TrailerTomorrow @karanjohar @apoorva1972 @tarasutaria__ @ananyapanday @punitdmalhotra @dharmamovies @foxstarhindi @zeemusiccompany” (sic). The trailer will be released sometime on Friday while the movie will hit the cinema screens on May 10.